Need for Speed: The Run is the eighteenth game in the long running Need for Speed series that takes you in and out of your car experience for the first time. It is the final 3rd generation Need For Speed title. The Xbox 360, PlayStation 3, and Windows version has you going across the US in not only just racing, also you'll be participating in minigame when you need to ditch the car in this story-driven single player race. The Wii version although has a different story, you have to handle a series of racing with the minigames in your path between defeat and victory. 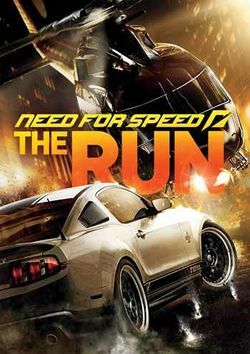 Need for Speed: The Run trailer.